It's always nice to be introduced to a new brand. I first heard about idaretobe.com last year when I wrote a post about them. They specialise in relaxed look clothing and the lagenlook style, which is perfect for those of you who prefer a laid back vibe. I've got a couple of pieces to showcase from idaretobe, the first of which is this grey cotton knit. 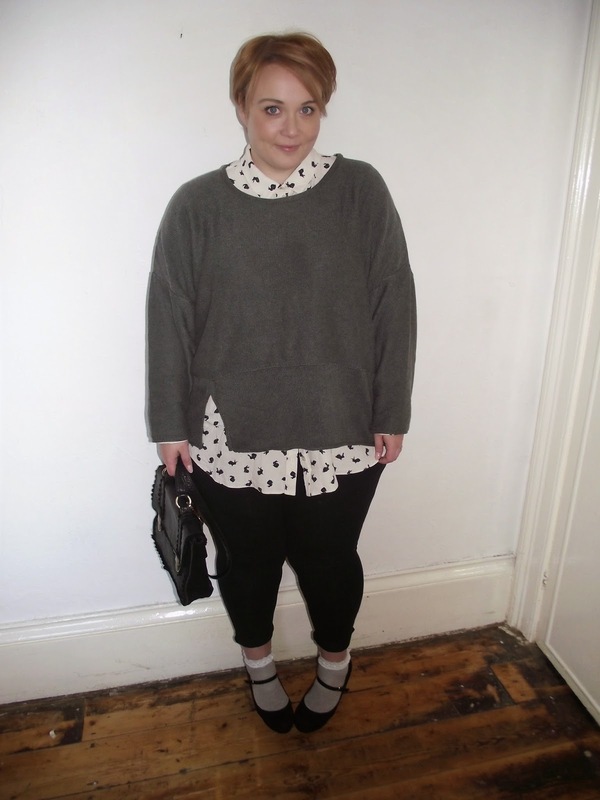 It is perfect for layering up, which I've done here over my ancient ASOS bunny shirt, leggings and silly but cute frilly ankle socks. The jumper is a cotton knit which means it has the warmth of regular knitwear, but it's not too fluffy and won't pill. 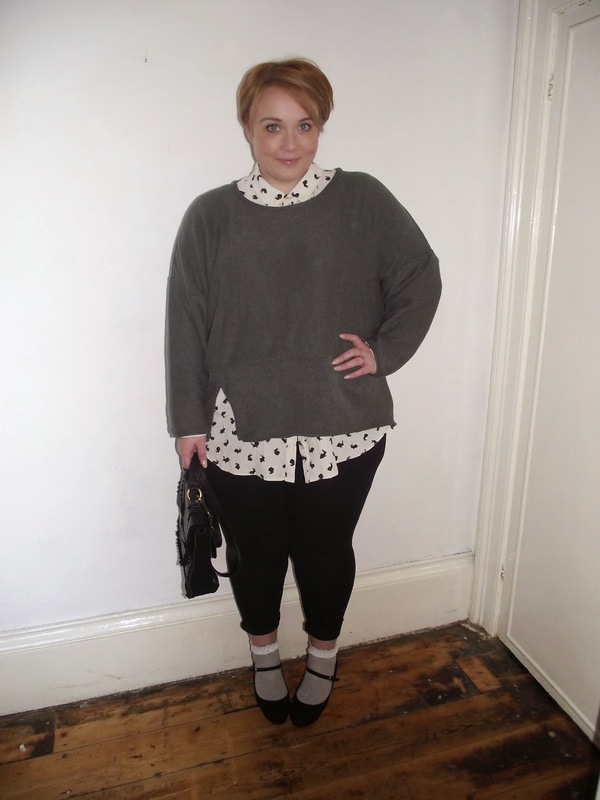 The jumper comes in one size, which is suitable for sizes 16-26, as you can see there still room on my 22 size frame. I love the split detail to the side and the relaxed fit. There's loads on the website to suit all different budgets so it's definitely worth a look if you're into flowing silhouettes and casual style. P.S. The hair? Yeah I have no idea what's going on either. I stripped the red out yesterday and now I'm unsure what to do, I'll probably go brown though... Until I get bored again. This is soo cute!! I love the look head to toe! And I think you hair is looking great! I'm about to start lifting the black dye from my hair.